We at LouisMed specialist hospital and Fertility hospital are always ready to come to your home to take you to the hospital whenever you need our Ambulance services. 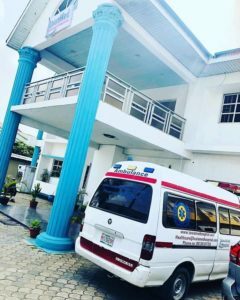 Wherever you are staying in Lagos isn’t a problem for us, just call us on08130101759anytime you need to come to the hospital for treatment or any emergency purpose. With our fully equipped modern ambulance, our rental services are open 24×7. 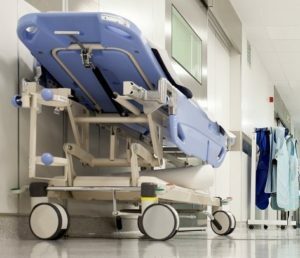 We deal on Site Clinic-to -hospital, Home-to-hospital or hospital-to-home transfers, Hospital-to-hospital transfers depending on what you want. All our ambulances are designed to carry patients either by stretcher or have our patients walk themselves. We ensure that the highest quality of patient care and medical intervention is always delivered. For use of our facility, kindly call and we would let you know if what you need it for is possible or not. 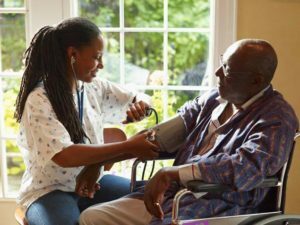 Our home care nursing services offer the most extensive care a person can get outside our hospital premises as they offer help with custodial care like bathing, getting dressed, and eating — as well as skilled care. These caresare given by our registered nurses. We also help adults, seniors, and paediatric clients who are recovering after a hospital or facility stayor need additional support to remain safely at home and avoid unnecessary hospitalization. Contact us today if you need this service.